The new Apple TV Remote app for iOS replicates the majority of functionality in the fourth-generation, Siri-enabled hardware remote control, but it lacks a very important feature. Apple's well known ambitions for the future of TV — including a bundle of TV networks and building its own TV sets — have largely gone unfulfilled, for various reasons. Today, Apple fans must be content with the Apple TV set-top box and a new Apple TV Remote app. The app replicates many, but unfortunately not all, of the fourth-generation Apple TV's hardware remote features. The Apple TV Remote app's interface is simple, which suits me just fine. After pairing it with an Apple TV, you see a mostly black screen with a few buttons toward the bottom. The screen's blank space works in the same way as the fourth-gen Apple TV remote's trackpad, and it's designed for navigating through Apple TV apps and content with a swipe of a finger. Below the app's blank space are buttons for play and pause; navigating back through Apple TV screens you viewed; a large "Menu" button, to return to a previous menu; and a microphone button, which summons Siri. As with Apple TV's physical remote, you must hold down the mic button to speak a Siri command. The Siri feature in the app and on the hardware remote is good at helping you find content on Apple TV. Not long ago, for example, a friend recommended a Netflix series starring Sissy Spacek and Sam Shepard, the name of which later escaped me. When I wanted to watch the show, I pressed the Remote app's mic button, said "Sissy Spacek TV series," and Apple TV brought up Bloodline, which I could watch using the Netflix app installed on my Apple TV. Like the previous Apple Remote app, you can use the new app to control your music library, provided you give Apple TV access to that library. A tap of the "Details" icon in the app shows you cover art (when music is playing) or a thumbnail image that represents a movie or TV show. You can tap and drag a slider to move quickly through the content, or tap icons to go 10 seconds back or 10 seconds forward. 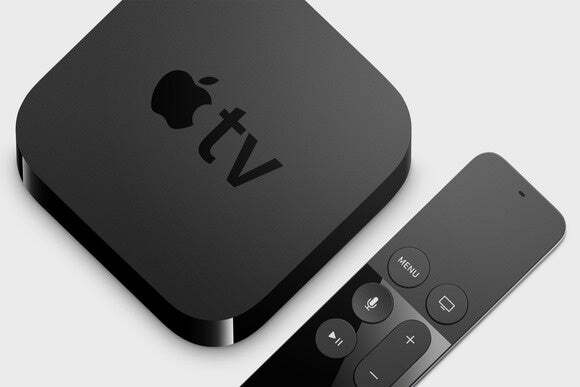 The Remote app also works with earlier versions of Apple TV, but Siri isn't available, because the virtual assistant only works with the latest Apple TV. The one big missing piece of the Apple Remote app is a lack of volume controls, which are available on the hardware remote. CIO.com sibling site Macworld.com reports that if an Apple TV is configured to use HDMI-CEC to control the TV or AV receiver it's connected to, you can use your iPhone's volume buttons to control TV volume. (My TV isn't configured in this way, so I couldn't test that claim.) So if you're hoping to avoid Apple TV's hardware remote altogether, you might be out of luck. The Apple Remote app is free, however, and if you have an Apple TV — particularly a fourth-gen model that supports Siri — why not get an extra remote that lives on your iPhone?